London’s Department for Transport’s THINK! campaign has launched a new anti-drink driving film targeting young men which is set in a pub toilet. Leo Burnett London, the agency behind the campaign, adopted covert tactics to produce a TV ad that would resonate with young males, traditionally an ad-weary, media savvy audience. The agency took over a pub in London and placed a fake mirror of similar size and shape to a car windscreen in the men’s toilets. 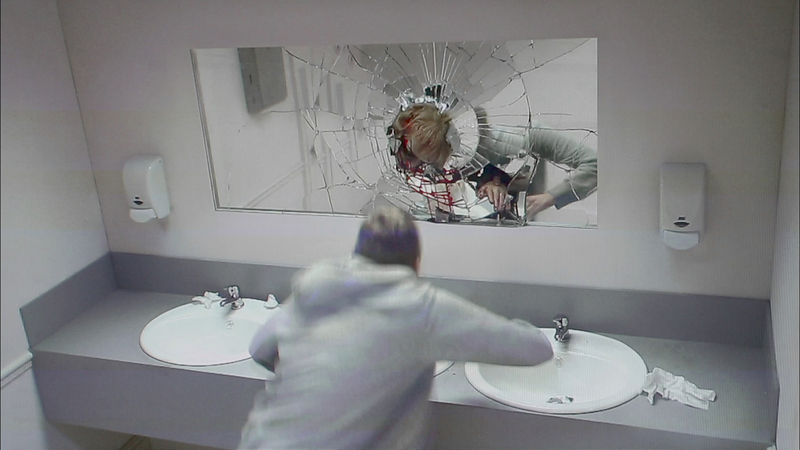 The agency team then propelled a human mannequin through the fake glass of the mirror, shocking the unsuspecting punters, played by actors, using the toilets. The incident included accompanying, specially-designed sound effects, which brought to life the full horror of a road accident. Hidden cameras were used to capture the action and the punters’ terrified reactions. 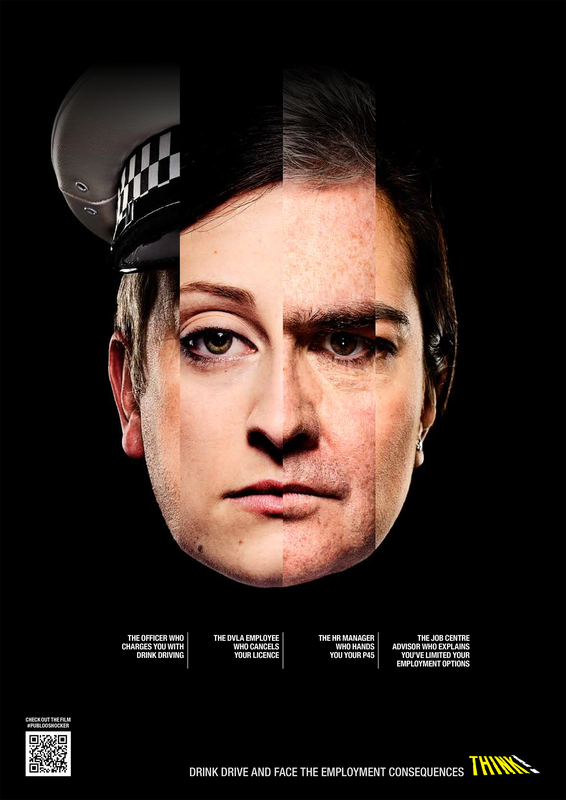 The resulting film makes for compelling and sobering viewing, and cleverly conveys the potentially lethal impact of a drink on a night out. 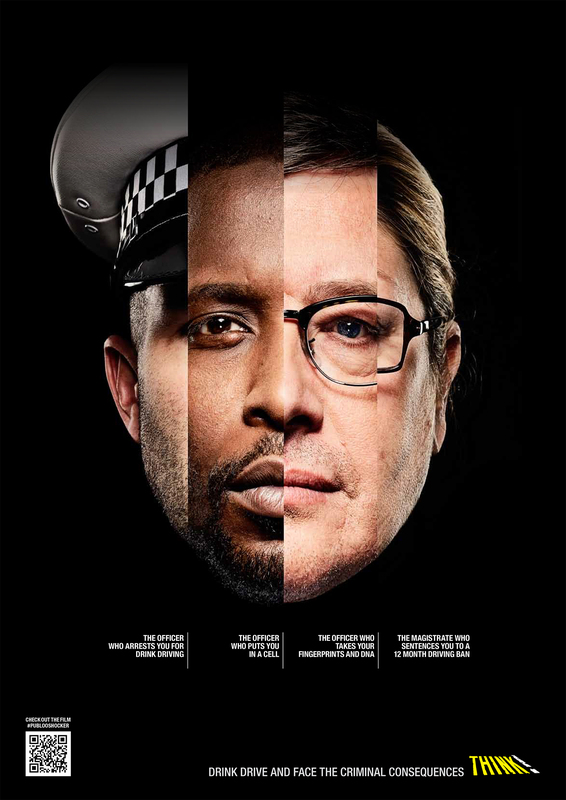 The Washroom campaign includes three print advertisements, consisting of a series of haunting portraits of the people one would encounter in the course of receiving a drink-driving conviction, right from the moment a drink driver gets pulled over. The images are merged into one, with the copy explaining the role of each person in the image. 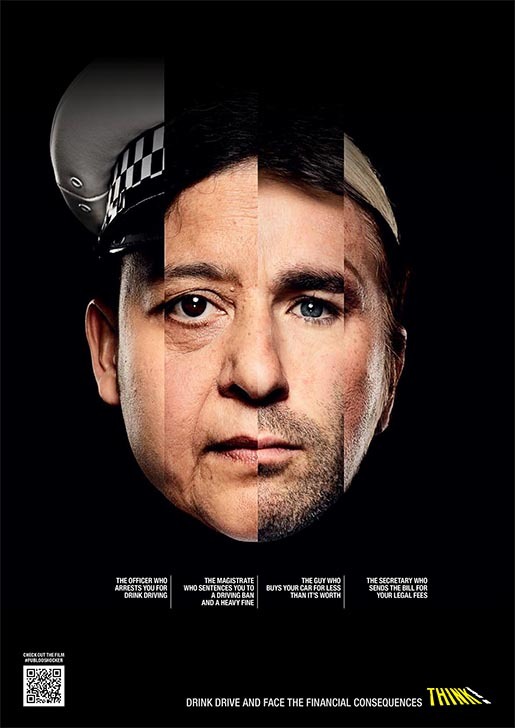 The radio campaign works in a similar way, with each person encountered during a drink-driving conviction introducing themselves and talking about the role they will play. The voices then merge together to form one monologue. The Pub Loo Shocker campaign was developed at Leo Burnett London by creative director Tony Malcolm, executive creative director Justin Tindall, creative director Guy Moore, copywriter/art director Phil Deacon, copywriter/art director Sabina Kelly, agency producer Emma Bewley, planner Lorna Burt. Media was handled at M4C / Carat by planner Michelle Radley. Filming was shot by director Ed Morris via Rattling Stick with producer Chris Harrison. Editor was Jack Singer at Cut & Run. Post production was done at Moving Picture Company. Audio post production was done at Wave Studios.